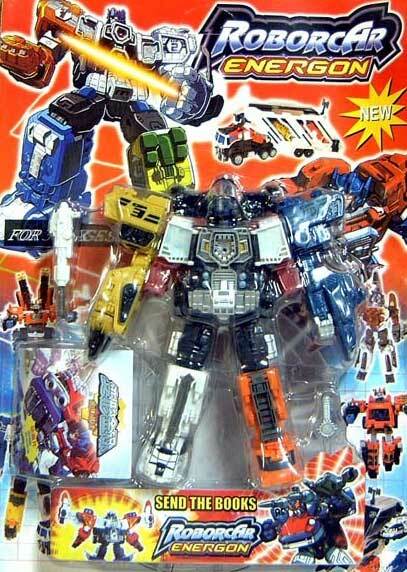 China is famous for producing bootleg toys, including such gems as "RobocAr Energon" and the classic "Super Combination Robot". 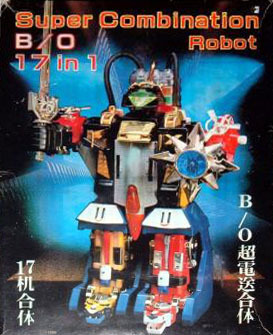 Another fine product of the Middle Kingdom is bootleg anime, such as the recent Macross ripoff Astro Plan. What do you get when you combine those two? Something horrible, that's what. With all the pain and suffering in the world, why do we need Astro Plan toys? There's probably enough lead in these babies to pack a two-barrel shotgun. Let us only hope these toys stay on the other side of the Pacific... I would hate to see them on the shelves of Toys R Us. If you have the stomach for it, check out a few photos of these abominations in the gallery below.